TCL in Your Town is taking over Woodbury this week and heading to an authentic Italian restaurant. Twin Cities Live reporter Kelli Hanson takes us to Angelina’s Kitchen where a New Yorker, turned Minnesotan is making sure memories are still made around the dinner table. Angelina’s Kitchen didn’t start as a sit-down restaurant. Instead, owner Angie Verrastro began the business delivering meals families could take and bake. That led to a take and bake shop, then wholesale, then a coffee/breakfast stop. It was those dinners around her grandmother’s table, that she wanted to create for families in Minnesota. Angelina’s Kitchen still offers take and bake options and now has event/banquet space. But Angie says family time, whether around the table or not, is so important, she’ll never open the restaurant on Sundays. "LIVE BROADCAST TONIGHT" Tuesday, December 8th - Stephen Michael Shearer, best selling author, returns tonight to talk about Hollywood legend, Hedy Lamarr! 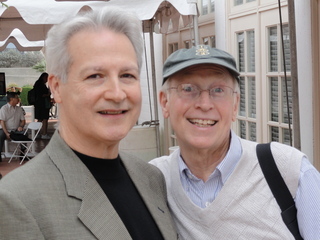 His book, "Beautiful: The Life of Hedy Lamarr" shares stories from the early days of Hollywood and Stephen tells all of the juicy stories you'll want to hear before buying the book! 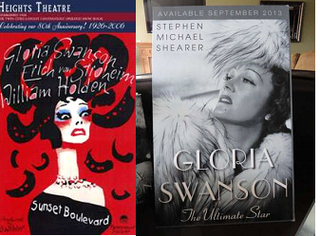 Join Michelangelo Signorile as he interviews Film Historian and Author Stephen Michael Shearer about his latest book, "Gloria Swanson: the Ultimate Star". THANK YOU TO ALL who attended the Wednesday, June 12, 2013 showing of "ZAZA". 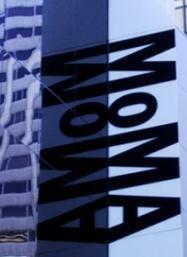 Film Historian & Author, Stephen Michael Shearer spoke about his latest book, "Gloria Swanson: The Ultimate Star (Thomas Dunne Books) at MOMA as part of the Film Series: "Allan Dwan and Rise and Decline of the Hollywood Studios". Mr. Shearer introduced the film "ZAZA" and held a short Q&A prior to the showing of the film. "ZAZA (1923)" starring Gloria Swanson, H.B. Warner, Ferdinand Gottschalk, Lucille La Verne, and Mary Thurman. The first of eight pairings of rising star Swanson with Dwan is a tale of the affairs of a Parisian music hall entertainer. Swanson remembered it as "the fastest, easiest, most enjoyable picture I had ever made," and the film won her many accolades and was a big hit at the box office. 80 Minute Silent film with musical accompaniment. The New Book Posters Are Ready! Starring GLORIA SWANSON, WILLIAM HOLDEN, ERICH VON STROHEIM, NANCY OLSON. Directed by BILLY WILDER. The story of a hack screenwriter who falls in the clutches of a deranged silent film star is the poisoned pill of our series and one of the most entertaining cynical films about Hollywood ever. Upon its release in 1950 there were many big wigs in Hollywood who were horrified and angry with Paramount for producing such a bleak tale of Hollywood…that is until it became a run away hit and then they all wondered why they didn’t think of it first. A true classic! DCP courtesy Paramount Pictures. 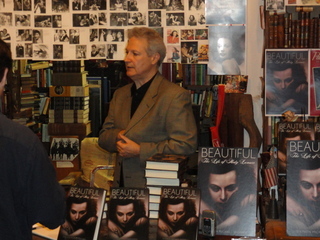 Presenting the newly released trade paperback edition of "Patricia Neal: An Unquiet Life" at Barnes & Noble Booksellers at the historic HarMar Mall in Roseville, MN. Thank you all who attended this event. 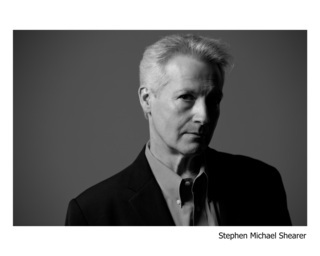 Film Historian & Author Stephen Michael Shearer, author of Patricia Neal: An Unquiet Life and Beautiful: The Life of Hedy Lamarr. Stephen, who is currently finishing up his manuscript for Gloria Swanson: The Ultimate Star, presented Sunset Boulevard and hosted a special Q & A after the film at the historic Heights Theater in Columbia Heights, MN (Twin Cities) on August 28, 2011. Har Mar Mall was built in 1961, as Harold J Slawik had a vision to build a "super mall" which included a number of larger department as well as smaller stores. At the time in 1961 very few "super malls" had been built in the midwest. Deriving its name from its owners, Harold J Slawik and his wife Marie Slawik. Har Mar is a combination of the two names. Harold and Marie. Be certain to check out the Barnes & Noble Booksellers at the Har Mar Mall; Roseville, Minnesota. Hear Ed Koch and Al D'Amato's "Touch of Clash" and Joe Franklin's show business interviews in this radio magazine. Beverly Washburn was one of Hollywood's most familiar child actors during the 1950s and '60s, a consummate performer who excelled at both comedy and drama with equal ease. "REEL TEARS: The Beverly Washburn Story"